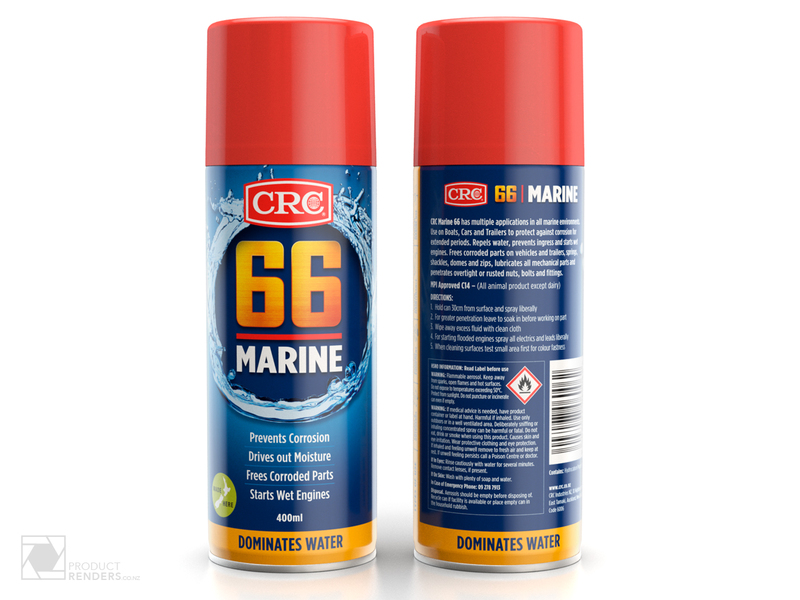 Recognised globally for its consistent performance and superior value, CRC has been providing premium-quality chemicals and adhesives for repair and maintenance professionals since the early 1960’s. Over the years, CRC New Zealand has developed a range of top-tier products made in their own product development facilities. These facilities support CRC’s global operation and ensure that Kiwis have the best of both worlds: products manufactured specifically for New Zealand conditions, and using the latest technologies available worldwide. 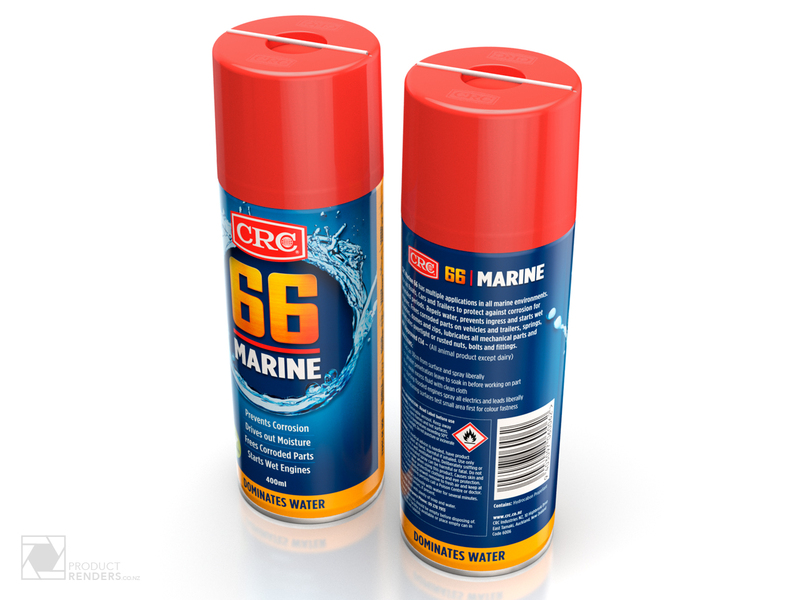 OnFire were asked to refresh the packaging for the iconic New Zealand CRC 66 Marine product. The brief? To modernise the packaging, regain shelf presence and breathe new life into a mature brand. This render was created as part of the design process. Now the standard tin is made, any future label changes can easily and very quickly re-skinned onto the 3D model, thus saving vast amounts of time and money. No need for photographs and hours of retouching, just perfect product images every time. The CRC brand imagery will be as good as the product inside the tin and the design on the outside. To see the substantial range of products from CRC or to contact them directly, check out their website here.